Is cloud gaming ready for take off? Reach new heights with your career. We can help. Unreal Fest Europe 2019 Hilton Prague, Czech Republic Prague will be the capital of Unreal development for a couple of days in April, thanks to the nomadic annual event. Unreal Engine’s director Nick Penwarden will be giving a keynote, while other talks include two sessions on Ark: Survival Evolved for iOS (by War Drum Studios’ CEO Thomas Williamson and art director Morgan Hughes), Enabling a Look Development Workflow for UE4 (by Ninja Theory’s principal technical artist Matt Stoneham), Automated Testing at Scale in Sea of Thieves (by Rare’s software engineer Jessica Baker), and much more. London Games Festival London The 2019 edition of the London Games Festival will be bigger than ever and run from April 2nd to April 14th across the nation’s capital. LGF 2018 brought in some 65,000 people, attending 40 different events across 20 venues, and featured around 400 games in total being shown off. The festival, run by Games London (an initiative from Film London) and Ukie, has so far attracted in the region of £40 million in potential investments to games businesses across the UK. London Games Festival 2019 will see plenty of events returning, such as the LGF Hub (featuring summits, galleries, demo zones, international pavilions, networking spaces and more) and Now Play This, which allows visitors to play experimental styles of games. The Games Finance Market will also be back, connecting 60 games companies and 60 investors, publishers and media funds. On April 6th, the annual Games Character Parade will return, journeying through the City of London. Days Gone SIE Bend Studio’s zombie-filled survivaladventure game is finally releasing at the end of the month, and will be launching exclusively on Sony’s PS4, with various collector’s editions available. Days Gone has been in development since 2015, officially announced at E3 2016 and is now ready to fill The Last of Us-shaped hole in everyone’s heart – though The Last Of Us 2 is supposedly releasing this year. Games Education Summit 2019 Ko-Host and the National Videogame Museum, Sheffield The BGI is launching a new conference to “bridge the gap between games educators and games sector.” The event will bring together games courses leaders, studios, recruiters, HR staff and more to start a dialogue on games education, with a focus on “employability, diversity, skills required by studios, apprenticeships, how industry can collaborate with educators, best practice, course design and starting up from university.” Speakers include Ian Livingstone CBE, Mike Gamble from Epic Games, Philip Oliver from GameDragons, Ian Goodall from Aardvark Swift, Marcia Deakin from NextGen Skills Academy, Marie-Claire Isaaman from Women in Games, and many others. Mortal Kombat 11 27 years after the series’ inception, Mortal Kombat is about to see its 11th entry launch. Developed by NetherRealm Studios and published by Warner Bros, Mortal Kombat 11 will include brand new character Geras, as well as new moves such as Fatal Blow and Krushing Blow. It’s releasing on PS4, Xbox One, PC and Switch, with the latter launching digitally on April 23rd and then physically on May 10th. Anno 1800 Anno 1800 will be the seventh entry in the beloved city-building franchise, and it’s going back to historical settings for the first time in a decade. The PC-exclusive title, developed by Blue Byte and published by Ubisoft, will launch digitally only. It will introduce new mechanics such as blue prints, which allow players to plan a city even when they don’t have the resources to build, and city attractiveness, which will impact the gameplay. My ‘to play’ list is huge but I’ve still had trouble getting traction with anything this month. I have been playing The Witness, via PS Plus, which is a great reminder of what a varied artform we work in. It’s an incredibly focused piece of work, and one that feels like a genuine piece of auteurship. 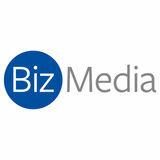 Biz Media Ltd, Axe & Bottle Court, 70 Newcomen St, London SE1 1YT All contents © 2019 Biz Media Ltd. or published under licence. All rights reserved. No part of this magazine may be used, stored, transmitted or reproduced in any way without the prior written permission of the publisher. All information contained in this publication is for information only and is, as far as we are aware, correct at the time of going to press. Biz Media Ltd. cannot accept any responsibility for errors or inaccuracies in such information. You are advised to contact manufacturers and retailers directly with regard to the price of products/services referred to in this publication. Apps and websites mentioned in this publication are not under our control. We are not responsible for their contents or any other changes or updates to them. This magazine is fully independent and not affiliated in any way with the companies mentioned herein. If you submit material to us, you warrant that you own the material and/or have the necessary rights/permissions to supply the material and you automatically grant Biz Media Ltd. and its licensees a licence to publish your submission in whole or in part in any/ all issues and/or editions of publications, in any format published worldwide and on associated websites, social media channels and associated products. Any material you submit is sent at your own risk and, although every care is taken, neither Biz Media Ltd. nor its employees, agents, subcontractors or licensees shall be liable for loss or damage. We assume all unsolicited material is for publication unless otherwise stated, and reserve the right to edit, amend, adapt all submissions. Pet: Iko Owner: Cédrine Décoret Owner job’s: Product manager, Curve Digital Iko is the ultimate gaming companion. She’s a French native but she’s a proper Londoner now and is partial to a full roast on Sundays. Pet: Roy Orbison and Momo Owner: Lucy Boxall Owner’s job: Head of corporate communications, Creative Assembly Roy Orbison (pictured above left) and Momo (right) impatiently await the release of Mortal Kombat 11. Pet: Maggie Owner: Martin Lindell Owner’s job: Brand manager, Raw Fury Maggie loves long and calm sessions of single player games that allow her to sit undisturbed in her owner’s lap while resting her head on one arm. UK games market grows 10% to a record £5.7bn The UK games market has grown over the last 12 months to record size, from £5.11bn in 2017 to £5.7bn in 2018, a rise of ten per cent. The figures were revealed by UK trade body Ukie to kick off the London Games Festival last week. The annual figures (see right) showed growth across the two key categories: software sales were up by 10.3 per cent to just break through the £4bn barrier for the first time. Hardware growth almost exactly mirrored that growth, up 10.7 per cent to £1.57bn, another record. While the far smaller game culture category shrunk slightly from £117m to £109.6m this year. Behind those upbeat headline figures, though, there are both winners and losers. Retailers of physical games had a tough time, as boxed software saw a 2.6 per cent dip, despite the stellar fortunes of Red Dead Redemption 2 and numerous Switch titles at retail. Competitively-priced digital sales look to have been the main cause of slashing preowned sales by a massive 30.8 per cent, which is worrying given that such sales are a big earner for bricksand-mortar retail in particular. On the flipside of the physical-digital coin, digital and online sales have been booming with a rise of 20.3 per cent on the previous year, and accelerating from 2017’s 13.4 per cent growth figure. That figure supports both the growing popularity of digital stores for console games and the further growth of incremental income from specific titles, namely Fortnite. Mobile games also grew by 8.2 per cent, up from 7.8 per cent last year and showing that while the huge boom years may be over, there’s still lots more potential in the sector. Moving onto hardware, the Switch’s first full year on sale helped console hardware figures rise by a tidy 6.5 per cent. While that’s well below last year’s bumper 29.9 per cent growth figure, it’s a good result at this stage in the cycle – with no new console launched in 2018. Those figures were also boosted by strong growth in the PC hardware market of 18.4 per cent. VR hardware sales slumped by 20 per cent, though a new headset from Oculus might turn that around in 2019. Event revenues were up as well, as both community and showcase events such as EGX and esports-specific events grew, with the segment up 5.5 per cent in total. So while digital shift will continue to worry some sectors, the industry as a whole had a great 2018 with booming revenues overall. While the advent of game streaming, subscription models and new console hardware will bring a less predictable future, none of those should dampen overall growth in the sector through 2019. The second-hand market has-1.3% seen better days at GAME. Preowned sales at the High Street retailer fell by almost 21 per cent ukie.org.uk @uk_ie compared to the same periodukie.org.uk in @uk_ie 2018, though this drop is actually below the national average (see the UK games market figures far left). GAME has also seen its revenue fall by 4.7 per cent year-on-year to £492.9m while profit was mostly flat year-on-year (down 1.2 per cent). It also saw a drop in hardware sales, which dipped by over nine per cent. One area of success was its Belong arenas, which will continue to be “core to [its] transformation strategy,” CEO Martyn Gibbs said. Sony has confirmed during its new direct livestream video broadcast State of Play that it has sold over 4.2m PSVR systems worldwide as of March 3rd. Sony’s director of social media Sid Shuman added on the official PS blog that “PSVR owners have a lot to SOURCE: get excited SOURCE: GFK ENTERTAINMENT GFK ENTERTAINMENT about,” revealing 14 games coming soon to the platform including Marvel’s Iron Man VR, Everybody’s Golf VR, Blood and Truth, Trover Saves the Universe, Mini-Mech Mayhem, Vacation Simulator, Five Nights at Freddie’s VR: Help Wanted and No Man’s Sky Beyond. Die harder Sekiro: Shadows Die Twice - Activision Activision Blizzard’s Sekiro: Shadows Die Twice debuted at the top of the UK weekly charts on March 25th. Sales for FromSoftware’s new IP were impressively on a par with what Dark Souls sold back at launch in 2011, when physical sales were much stronger. Sekiro was down 29 per cent compared to Bloodborne’s launch sales in 2015 though but Sekiro is likely to have done much better digitally. Going back to physical sales, the title sold mostly on PS4 at launch (80 per cent of the copies shifted). It’s worth noting that it’s only FromSoftware’s second No.1 in the UK charts – the previous one being Dark Souls III back in 2016, which sold twice as much as Sekiro. Ukie: Festivals are a great way to celebrate the culture of games With London Games Festival in full swing, here’s why Ukie thinks celebrating the economic and cultural contribution of games is so important THIS week marks the half-way point of this year’s London Games Festival – the biggest yet, with over 40 events for businesses, consumers and curious first-timers. The fourth annual celebration of games culture features thousands of playable games and free outdoor activities for all, while more than 30 international games businesses and investors will descend on London to network and share insights. The Festival kicked off last week with the LGF Hub, two days of summits and networking space for games businesses. We also had the annual Games Finance Market which connected games businesses with potential investors. But the festival also seeks to promote the wider cultural economy and contribution of games. It attempts to demystify them to people who don’t play regularly as well as promote the breadth of content that this valuable sector now represents. Celebrating the impact and contribution of games to the cultural economy and to the world has never been more important. As the reach of games gets bigger and more diverse, and we become undisputedly the biggest entertainment medium in the world. What we do, how the sector operates and how people enjoy games will continue to become more scrutinised by those who don’t. This already prompts lots of questions from consumers, policy makers and the industry, and poses some reputational risk, as we’re seeing with the WHO’s premature proposed adoption of a ‘gaming disorder’. But this scrutiny also presents us with an opportunity to empower and educate people in partnership about the amazing positive impact that games can have on passionate, globally connected communities of players. We should be proud and confident of the story we tell about games, and festivals can be at the centre of this, providing a spotlight for events, thought leadership, skills initiatives and engagement with the wider public about games. Exhibitions like this weekend’s Now Play This (a festival of experimental game design, part-funded directly by Ukie), the take-over of iconic cultural spaces like Trafalgar Square, events like last weekend’s Games Character Parade through the City of London and the BAFTA Games Awards all shift perceptions and help show games as publiclyconsumed, tangible, understandable, sociable, creativelybrilliant and hugely enjoyable. And while the London Games Festival aims to put the spotlight on the wider UK games sector and games-playing public, game clusters and other existing organisations around the country also have a major role to play in promoting the business and culture of games. The National Videogames Museum in Sheffield, Leamington Spa’s Interactive Futures festival and the recently announced Guildford.Games Festival (see right) are just some initiatives that are bringing games to the attention of their communities locally and nationally and helping to put the UK well and truly at the heart of the worldwide games sector. From the earliest days of the industry, the UK has had a talent for making games and a deep cultural engagement with the medium. We have the best technical talent, the best creativity and the best business landscape in the world to make games. We’ll be ramping up the positive news around the UK games sector through our 30 Years of Play campaign this year and want to give people from the industry the chance to tell their stories. Games are now incredibly diverse, capable of tackling complex issues and expressing them in new, innovative ways that other media just cannot do. The UK games industry should be celebrated not just for its economic contribution but for its creativity and the positive impact it makes to culture and the lives of the millions of people who enjoy playing British games here and around the world. 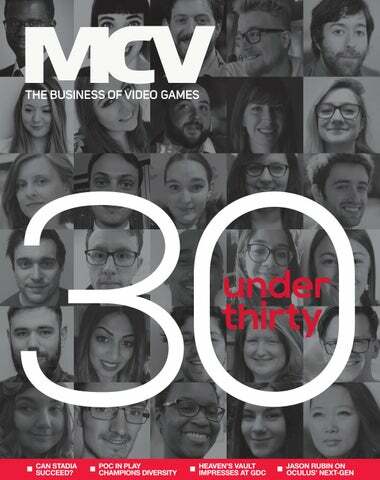 MCV AWARDS 2019 Thanks very much to everyone who attended our MCV Awards 2019 at The Brewery last month and contributed in making it such a success. Special thanks to WiFi Wars and Steve McNeil for putting together a very special interactive multiplayer warm-up and congratulations to all the winners for an amazing year in the UK games industry! The awards this year were spread broadly, with no single company picking up more than one trophy. That’s a testament to our award-specific, specialist judging panels, picking the best teams, products and campaigns in their respective categories. We’d like to take this opportunity to thank our sponsors and event partners: Amiqus, Bespoke Arcades, Frontier Developments, Gamescom, Heaven Media, Little Big PR and Ukie – plus our charity partner GamesAid. The MCV Awards couldn’t happen without the continued support of the industry! GDC 2019 GDC 2019 achieved record attendance with 29,000 industry professionals making the journey to San Francisco for the event. This year was loaded with big events too, with Google’s Stadia announcement (more on that on page 38) and Unreal’s keynote being joined by offsite events such as the Oculus Rift S launch (see page 54) and Unity’s game-packed show. Back at the conference, attendees were treated to an entertaining and informative lineup of 780 panels, roundtables and speaker sessions, including Siobhan Reddy from Media Molecule (pictured right).. The expo boasted 550 exhibitors on a buzzing show floor, including a centrally-located Ukie stand. As always the show covered everything from indie showcases, such as Day of the Devs and the Indie Megabooth, right up to immense stands from the big platforms and engines. Wired stands for. From our internal teams, our partners, developers and of course our players. This award also goes out to the numerous partners who got stuck in and helped the campaign. The campaign changed a lot for Wired. It challenged and highlighted opportunities. In fact, from starting the project to right now, we’re 70 per cent larger than we first were in head count. We expanded our QA team, further strengthened our marketing and production teams, and it really shows in the quality of assets and campaigns we’re producing. We adapted and made clever decisions. In less than a year from announcement, we’d attended every show possible, from events in the US, to England and to Poland. We’d connected with one of the biggest independent record labels, who had just finished working on Forza, and got an incredible set of tracks for Grip. We even reached out to 90s combat fans with a series of placed editorials and viral videos (our Scalextric trailer still makes me laugh hard!) We’ve been transforming ourselves over the past two years, building on success and gaining scale with each release. We’re incredibly excited for Close to the Sun and can’t wait to share the other IPs we’re cooking. Awards weren’t something we really had on any to-do list. If I’m honest now, however, after hearing our name and seeing that razor on the big screen, it’s kind of giving me the flavour for more… Leo Zullo is managing director at indie publisher Wired Productions, which won the Gaming Campaign of the Year – Under £500k Budget for Grip at the MCV Awards 2019. GREY keys are hurting the games industry and at Fanatical, an online store which has always resisted selling anything except officially sourced product, we’re making a stand against them. With many consumers simply looking for the lowest price when it comes to buying a new digital game, grey marketplaces and unscrupulous online retailers are often quick to cash in. Why should you care? Because grey keys are a major factor in driving down the price of a new game. So why are they so cheap? In countries where market economics dictate lower pricing, publishers have to sell their products at the local going rate. Grey key distributors then prey on these markets. They buy up cheap stock, in many cases stripping keys from boxed copies, and they scan them ready for mass digital distribution. These grey keys are then sold cheaply around the world using an extensive network of online retailers and marketplaces. Our customers demand official keys, and they demand that we charge competitive prices. We don’t believe in a race to the bottom, whereas grey key sellers will often drastically undercut legitimate retailers and each other. All that does is drive down everybody’s profit margin and it adversely affects the entire food chain. Unlike many of our competitors, Fanatical has gone the extra mile to combat grey key resellers. By blocking VPN access of any kind, we’ve put a stop to traders who try to buy products for resale using fake geo-IPs. Fanatical’s bespoke technology platform also has other checks and procedures in place to police the sale of its game keys. Advanced AI algorithms prevent resellers from buying products in bulk, for example if they want to stock up on limited-time discounts. Where there’s profit to be made, there are always going to be people who will try to take advantage of pricing loopholes, so we’ve built a loyal customer base who have rejected grey keys. They want the reliability and the peace of mind that they can only get from an official retailer. Many gamers feel this way, but too many people are still blasé about buying grey keys because they’re lured in by the low prices. But these low prices come with risks attached. Grey keys can potentially give customers a frustrating shopping experience, leading to negative sentiments being aimed at the reseller. There are stories of customers being sold keys which were previously used and no longer work, or receiving region-locked keys which won’t operate in the customer’s country. Certain grey key marketplaces even charge customers an extra fee which promises ‘customer support’ if the supplied key doesn’t work, such is the question mark that hangs over the provenance of resold grey keys. Customers are effectively gambling with their own money. It would have been all too easy for Fanatical to acquire grey keys, or to mix them into our licensed key pool in order to enhance profit. But we don’t condone this behaviour at all. For us, it’s all about offering the best customer service. Education is vital. Ultimately, grey keys put less money in the hands of game developers. These are the people who earn a living by making the games we all want to play tomorrow, and you should never bite the hand that feeds. Grant Hughes is PR and partnerships manager at digital retailer Fanatical, which has sold over 60m game keys to customers in over 200 countries since its launch as Bundle Stars in 2012.
at times. We've done our best to represent every aspect of our increasingly broad and eclectic church: from data analysts to influencers, artists to business developers, product managers to game designers. It just remains to congratulate those of you who made it and thank everyone who entered and nominated their peers – you’re the future of the industry and based on everything we’ve read in those entries, that means the UK games industry has a very bright future ahead. Congratulations to you all! AFTER starting out in the industry as a staff writer at MCV, and working with Games London on the second annual London Games Festival, Alex Calvin joined Steel Media in 2017 to launch B2B site PC Games Insider. Described as a “leading voice in games business journalism,” Calvin has also brought together a diverse range of voices to discuss the issues of the moment in his work programming content for Steel Media’s PC Connects events. As a freelance writer, Calvin has had bylines in outlets including Eurogamer, Kotaku and The Observer. A supporter, whose identity we’ll protect, has asked us to report that Calvin, at 29, is also a relic. and incorporation of Click Entertainment USA. On top of finding a large number of clients for the company, he’s been successfully coaching and developing other sales people, all while completing his Masters in Strategic Marketing & Sales Management. Described by his peers as a “key figure within the team,” he was praised for his maturity, work ethic, tenacity and huge potential. TAKING a placement during his university degree, Jason Bentham first started at Jagex in 2010 to work in the player support department. Passionate about RuneScape and the industry, he made his mark and was offered to return at the completion of his degree. On return, Bentham joined the analytics department as a reports developer and has worked his way through the department to become the head of analytics and data science at the age of 28. Now responsible for a multi-disciplinary department of data analysts, scientists and engineers, he’s contributed to Jagex’s continued growth and has set the vision for the department going forward. Bentham also invests in people via training and mentoring, nurturing future analytical talent in the game industry. AT only 29, Charlotte Cook already has almost ten years experience working in the video games industry, having gained a head start towards the end of university life. Before joining Genba Digital in 2016, Cook worked as digital distribution account manager at Sega for four years, having found her calling during her time working in digital sales at Take-Two Interactive. She quickly made her mark on the commercial side of the Genba Digital business, thanks to her wealth of industry insight and knack for relationship-building. Now heading up the commercial team, she continues to have a significant influence on how Genba’s digital game distribution business is conducted. STEVEN DILLON started off as a community intern at Rare, before being promoted to community manager, then community experience designer and now game designer. Since joining the Sea of Thieves studio in July 2017, he has helped get its verified Discord server up and running, worked on TwitchCon 2018 and designed some of the studio’s latest content. Dillon has had quite an inspiring journey to the games industry, having been expelled from secondary school at 14 and then working in retail (including at GAME) for about ten years. Having no grades to go to college, he eventually managed to convince a lecturer to take a chance on him in 2015 and started studying Game Design at Plymouth City College. Now having his dream job, he’s a prime example that it’s never too late to pursue your passion. A master of multi-tasking, Anne-Lou Grosbois-Favreau is PQube’s marketing team leader, managing some of the firm's most successful products such as Cat Quest, while also being its event manager and its voice on social media. Going fresh into the games industry three years ago, not long after her move to the UK from Paris, she has since risen through the ranks, being promoted time and again to tackle bigger and bigger projects. She is known for her creativity and determination to make her products a success, hiring cats for a marketing stunt, or dressing up as an octopus for a trailer. GEORGE OSBORN has had a successful multifaceted career in the industry so far. Having begun his career as a journalist with bylines appearing in The Guardian, Eurogamer and GIBiz, he’s also collaborated to broadcasts for BT Sport, BBC and BAFTA and successfully organised business conferences such as PG Connects in 2015 and Games Forum London in 2018. On top of that, he co-founded Games4EU, a grassroots movement to fight against Brexit, is an ambassador for SpecialEffect, created charity event Gamerbake and still found the time to become Ukie’s 30 Years of Play campaign manager this year. quickly risen from the role of licensing executive to business development manager. Working with external developers and publisher partners to create exclusive deals and bundles for Fanatical’s rapidly growing global customer base, Lockley’s work is said to have been instrumental in the growth of the retailer's product range. “ANTONELA POUNDER would hate to be on this list,” one of her supporters jokingly told us – so not only are we putting her on the list but we also want to reveal that she’s been one of the most nominated people of this year’s 30 Under 30. With previous experiences at studios such as Ubisoft Reflections and NaturalMotion since her debut in the industry in 2012, Pounder is now the spearhead of 505 Games’ community management team, having been promoted to this position a year ago and now working on a global scale, taking leadership on the company’s social guidelines and training new CM across the world. Passion, enthusiasm, never failing to impress, will to go above and beyond, drive, compassion and inspiration are only a few of the many things that her peers have told us about Antonela Pounder. HAVING worked in the gaming industry for just over three years, Ruby Rumjen just joined Warner Bros as international PR manager and is now responsible for eight different territories in Europe. Rumjen started her path in the games industry at Rubber Road back in 2015 after a few years in tech and finance and worked at Bandai Namco as its UK and Ireland PR manager for almost two years, executing an array of creative ideas and strategies. WE’VE been asked to add Daniel Scales to the “list of people who should be considered a national heritage” but we only run 30 Under 30 so here he is. As a programmer, Scales worked on Nunnageddon and 10 Second Ninja X, having co-founded Four Circle Interactive with Dan Pearce back in 2013. He's also one of the masterminds behind the Norwich Games Festival. BAFTA Games Crew member Sophie Smart has worked in the games industry for the last five years and has released multiple games in that time, including Kingdom Two Crowns and BAFTA nominated Gangbeasts at Coatsink, having previously worked at Hammerhead VR for nearly three years. She also actively works with women and queer people in games, supporting them with their first steps into the industry and has ran multiple workshops for Stemettes, an organisation that helps young girls into STEM based subjects. STARTING in the industry as an intern at Sumo Digital as a motion capture animator on Hitman 2, Abbie Willett’s proactive attitude led to taking on the day-today responsibilities of running the Sumo animation team and becoming an integral part of the development of Hitman 2. Her colleagues at Sumo have told us that she strives for quality, always going the extra mile, not taking “that’ll do” for an answer and excelling in leadership despite being a junior. Part of the BAFTA games crew, Willett also strives to inspire young game designers and gave her first industry talk at the Yorkshire Games Festival this year. WE received so many nominations for Danny Sweeney that the word count could have filled two pages of MCV. Described as “an essential member of the character team at Creative Assembly,” Sweeney joined the studio in 2014. “Hardworking, passionate and totally dedicated to his work,” Sweeney has made an impact not only inside CA but also outside, with one of his characters used as part of a tutorial in 3D Artist magazine and another of his models added to the game as a Make-A-Wish Foundation wish. A speaker at various events such as EGX, he’s also involved in school outreach to help teach and lift young potential game makers up. IN under three years, Liz Wright has pioneered and built tech innovations that have accelerated development across Mediatonic’s entire business, helping projects run more efficiently and predictably. Despite not having any experience in games before joining, Mediatonic was impressed with Liz Wright “right from the start,” with colleagues describing how she “quickly became aware of the challenges faced by project teams, gaining knowledge at a truly incredible rate.” Wright has single-handedly unified all Mediatonic’s projects into one single build system and she has been so successful in her role that the firm had to invent an entirely new role within the studio for her – build master. DESPITE a relatively short four and a half years in the video games industry, Lana Zgombic has helped produce seven games in that time, including Chilled Mouse’s Warhammer Quest and Chime Sharp, 22cans’ The Trail: Frontier Challenge and Bossa Studios’ Surgeon Simulator CPR. She’s also sat on the jury for several BAFTA Games Awards (on top of being a member of the BAFTA crew), volunteers as a STEM Video Game Ambassador and has organised the Guildford Global Game Jam three times running. Dead Good PR has a couple of new recruits. JAKE KULKOWSKI (5) is the agency’s new media and influencer consultant, having previously been a content creator since 2015. Meanwhile, LILIAN ESCOMEL (6) has also joined the Montreal Dead Good PR team as junior PR consultant. Katie Clark, product manager, Sold Out colleagues who have helped me learn that my opinions are vital in the work I do. What do you enjoy most about your job? So many things! It’s great to be able to see all the facets of game development, from marketing to production and everything in between; it’s been a great way to learn how the industry works. It’s also really exciting to work on such a huge breadth of games, such as the hilarious Overcooked 2 from Team17 and the adorable pet sim Little Friends: Dogs & Cats. Meeting other people in the industry and the fans at shows is also fun and super inspiring. What’s your big ambition in games? I would love to carry on learning and working my way up in the marketing, PR and community fields as I have a strong interest in these sectors. Hollie Bennett, former PlayStation Access Channel Manager, is a huge inspiration for me because of this. She is such a strong representative of female gamers in the industry who are passionate about what they do and have excelled in all these fields. I’d love to be able to get to the point where I can actively inspire others with my work. What advice would you give to someone trying to get into product management? The main thing is making sure you let your passion for games run away with you. Want to organise a video game event or meet up? Do it! Want to meet like minded people for inspiration and ideas? Go for it! If you let the passion drive you into action, get out there and meet people, and don’t fear rejection or feel like you’re not good enough, you’ll be surprised how far you can go and where your ideas can take you. Benjamin Ellis, business development executive at Team17, tells us about the importance of a commercial mindset and an understanding of the business of games communication, organisation and workload management amongst other things. If you have a solid understanding of business development, coupled with a passion for video games, then you’re in a really good spot. If you were interviewing someone for your team, what would you look for? The commercial team is still growing at Team17 so it’s important that anyone who joins is affable and can work well within a smaller team. Communication skills are also vital, we spend a great deal of time speaking to people from all over the world and from all walks of life so it’s important that a candidate should have the confidence and poise to be able to conduct face-to-face and phone conversations with CEOs, developers, platform holders or whoever it might be. It’s also crucial that you understand video games, how they’re developed and the people that buy them, as well as a good knowledge of Team17 and our values. What opportunities are there for career progression? I believe that if you’re in an industry that you’re passionate about, and you’re willing to learn, then the sky is the limit. There are several branching paths from business development, from working your way up within the department, to moving into licensing, to moving into more strategic roles and long-term business planning. There are also people I know that have found that their skillset is better served in another department and have moved into things like marketing. It’s an industry with a lot of options and plenty of people willing to learn. 28 DAYS LATER Taking a new opportunity in the industry can open a door to the job of your dreams. We catch up with a recent career mover at the start of their exciting new role through recruitment specialist Amiqus Congratulations on the amazing new job! What inspired you about Coatsink to come and join them? I am very passionate about video games and more specifically indie games. Naturally, I was excited when I saw what games Coatsink develops and publishes. Before I applied for the community manager role, I had played Phogs at Gamescom. I really enjoyed playing it back then and kept track on their social media channels. This is one of the reasons why I was really keen to join them! What’s the culture like at Coatsink and what’s your experience been like in terms of fitting in? It’s an incredibly relaxed and friendly environment. We’re an ambitious team that works very closely together to achieve our goals. I didn’t struggle to fit in because of that. Whenever I have questions my colleagues are more than happy to help me. Communication is incredibly important and helps in solving all issues. I felt comfortable in my new position right away. What are you most excited about bringing to the role? I am excited about bringing new ideas and creativity into our team. I cannot wait to meet new challenges and master them as best as I can. There really is no right or wrong in social media management, it’s about trying out new things and seeing how the community reacts to it. Sometimes a quick post does much better than a post you worked on for a while. Most importantly, you always have to try out new things to keep your channels interesting. What will working at Coatsink do for your career? I am still very new to the games industry and I am looking forward to gaining more experience in managing communities and running social media campaigns. I can’t wait to create content with my colleagues and get to know gamers at events like PAX or EGX and show them what we’re working on! What I really like about Coatsink is that I will get to meet people all over the world who will play our games. This is also why I enjoy being a community manager: you get to meet people who share your passion. What would you like to say to anyone thinking about or undertaking a job move in this industry? The most important part is being passionate about games! I couldn’t imagine managing social media channels for games if I didn’t enjoy them. Another piece of advice I could give you is that you shouldn’t give up. The right opportunity will come for all of us! Iterating for Better The way you write job ads will have a significant impact on whether or not women will apply for the positions. MCV investigates AS far back as 2011, research by US academics Danielle Gaucher, Justin Friesen and Aaron C. Kay revealed that the types of words used in job advertisements have a direct effect on the recruitment process. The name of the research paper says it as it is – Evidence That Gendered Wording In Job Advertisements Exists and Sustains Gender Inequality – and it will come as no surprise that words such as ‘assert’, ‘lead’, ‘dominant’ and ‘confident’ are termed as male-coded. Sadly, eight years on, it would appear that things have changed very little, with new data suggesting that 60 per cent of UK industries show male-bias within their job ads and overall job ads contain 17 per cent more male-coded wording than female-biased text. Of course, this doesn’t mean that women don’t identify as assertive, confident or as leaders. It’s about how they respond to job ads on an unconscious level – they will be put off applying for a position if the ad or job description uses a disproportionate level of male-biased words. So, what are the words that women – subconsciously – identify with? That’s anything from ‘collaborate’ to ‘committed’, ‘interpersonal’ to ‘loyal’, ‘supportive’ to ‘trust’. If you want to encourage diversity, the advice is not to avoid masculine words, but to ensure that plenty of feminine-coded words are used too. Recruitment specialists tell us more. diversity within our studio. We have worked with the team to help them understand how language in job adverts can unconsciously impact applications so that they consider it when writing adverts. Meg Daintith Recruitment manager, Codemasters I am particularly aware of this at Codemasters, because, as racing specialists, so much of the motorsport vernacular can be male-oriented as well as the games job itself – it’s a doublewhammy! We need lots of talent to make our games and we certainly can’t afford to put off half the population. As a woman I have a natural learning toward a female tone, but I still use tools such as the Totaljobs gender decoder to do regular checks. To a degree, adverts will inevitably reflect the current status within the industry. It’s key to remember it is unintentional however – the blame-game isn’t helpful or necessary. It’s important that proactive industry reach-out work continues so we can rise above video games being seen as a boys club. Visiting schools and careers events is particularly valuable to raise awareness that with the right passion and talent, a career in games is open to everybody. Claudia Cooney Lead director, RightTrack Learning Until we raise awareness of unconscious bias and teach people strategies to mitigate their effects, we will continue to see an impact. If, for example, we unconsciously associate admin roles with female candidates we may, without necessarily realising it, write the job advert with female-biased words. The opposite might be the case for sales roles or senior positions. We need to raise awareness of unconscious bias and the importance of being vigilant, in order to create a double-check situation that ensures a fast ‘gut-feeling’ is followed by slow analytical thinking. There is merit in using an online tools to scan the job advertisement for male or female biased language in order to flag, identify and edit the copy if necessary. STADIA Is cloud gaming finally ready for take off? games need to be actually available – and also from an infrastructure perspective, the user needs decent bandwidth for the system to work effectively.” Glenn Fiedler is CEO of Network Next, which looks to improve the responsiveness of traditional online games. Though before that he wrote network code at Pandemic, PlayStation and Respawn. He comments: “The internet is not really ready for game streaming yet, but the good news is that companies are building new infrastructure and edge data centres closer to users all the time, so it’s heading in that direction.” Although Fiedler warns: “You’d have to put in so many data centres so close to players that I wonder, wouldn’t it just be easier for players to play games on a PC or console? It’s going to come down to the business case. Will enough gamers want to stream games?” Putting a price on the infrastructure required is difficult, with so many variables to consider, even in terms of the product being served, as PlayGiga’s Polo notes: “The investment required depends on a number of parameters, including the type of service offered. GPUs have been a key cost item in this business. PlayGiga is GPU agnostic. This means that we can use the traditional Nvidia cards, but also less expensive general purpose cards, such as Intel or AMD cards, to achieve the same performance but at a much lower cost.” Thanks to that, he says, the price of the service to a provider is around $10 a month per subscriber. The price of providing Stadia’s high-end service to consumers may be considerable. gain traction. Therefore the triple-A publishers may have more of a role in shaping Stadia’s initial business model than Google would like. “Some form of subscription model seems inevitable but it is conceivable that Google is forced by publishers to take a more traditional approach at launch with pricing on a per game basis. Another possibility is something similar to mobile phones, with a pay-as-yougame model in addition to subscriptions.” Content is obviously a concern Google shares, as the company has launched its own first-party studio to help bolster its offering: Stadia Games and Entertainment. That’s a pretty typical move for a new platform, but it doesn’t follow the company’s usual pattern. After all Google doesn’t make mobile games or movies for instance, it provides digital retail space, but it does not (to date) compete in that space itself. Harding-Rolls comments: “While its new first party studio is a step in the right direction for Google to build its own content exclusives, it will still need to negotiate timed exclusives with third parties to start to compete more significantly with those with major games portfolios. If Google is serious about competing, the likelihood that the company will acquire studios or even a publisher must be considered high.” All that said, the most likely strategy out of the gate is a retail one, with the same 30 per cent fee that Google charges developers on the Play Store at present – the same base figure as Sony, Microsoft and Nintendo charge. Though it may need to sweeten that deal as the newcomer. Overall, Google’s Stadia is deeply impressive. It’s set the bar for anyone brave enough to follow in the footsteps of the search giant. It’s arguably the biggest move since Sony announced the first PlayStation and it looks set for similar success. And we haven’t even had space here to discuss YouTube, possibly the greatest single marketing tool any company could bring to bear in support of a new gaming platform. With hardware required and with a well-populated subscription service looking unlikely at launch, Stadia can’t quite live up to the long-hyped ‘Netflix for games’ mantra, but it’s arguable no one really can. Still, the fact we’re mainly discussing business issues shows just how far we’ve come in the ten years since OnLive was the first of many high-profile failings in the sector. Will cloud gaming be good for the industry as a whole? It’s too soon to make any serious predictions but if we see the kind of overall growth that analysts are predicting then that would be a very big yes. However, in order to maintain a healthy and competitive industry, we’re hoping at least one serious competitor to Stadia is unveiled by this year’s E3. So stay tuned, because these clouds are going to whip up a storm. Egyptian. That’s just a key step because then when people see themselves represented in games they’ll think: ‘Well, maybe I can write a game!’ and that’s what we want – we want more people entering the industry and to create an industry that supports them once there are here.” To achieve this, the role of the education pipeline is crucial, to encourage young people of colour to join the right curriculum but also make sure the games industry is depicted as a viable career path to them. “The education pipeline is super important, if not the most important thing to get more people in the industry,” Campbell agrees. “There are a lot of good colleges and universities that do fantastic digital and games courses but unfortunately there are still fundamental structural issues which exist within the industry, within the education pipeline, perhaps within the approach of educators.” There’s an easy response to this though – and it has to come from the industry. “One of the potential solutions is trying to get more people from the industry into schools that have underrepresented people,” Campbell says. Connecting with schools would also allow studios to help with getting rid of “cultural pressures which may also influence the type of careers that people are going to choose,” he continues, adding that speakers could “explain to the population who don’t see video games or programming in games as proper careers” that they indeed are. nkle loves words. The studio has approaching 30,000 lines of dialogue in its upcoming PS4 and PC game, Heaven’s Vault. All of that text is then managed by a custom scripting engine which generates narrative on the fly by mixing and matching conversational topics from that huge library of lines. But that’s not all, for Heaven’s Vault also contains an entire invented hieroglyphic language, which the player, as far-future archeologist Aliya, must decode as the game progresses. With the title coming out in less than a week, after four years in development, we had a chat with Inkle co-founders Joseph Humfrey (art and code director) and Jon Ingold (narrative director) to discuss the game, the powerful scripting technology behind it, and all those lovely, lovely words. “I definitely don’t want to suggest that our character is Dr Hanna,” Ingold however notes. “She’s a real person with a real life and she probably doesn’t want to be dragged into the game’s spotlight.” Humfrey adds: “When we came off the back of 80 Days, which was itself massively focused on diversity, we both had this sense of: we’ve just done a game about two dudes travelling the world so let’s see if we can tell a story about some other kind of person.” What persists is the two-hander structure, with Heaven’s Vault’s Aliya accompanied by her talkative robot sidekick Six. But this kind of acquisitive colonialism didn’t appeal to the eight-strong team. “Then I started trying to read about more modern archaeologists, I found this lady called Dr Monica Hanna, who is an Egyptian Egyptologist, who has been working since the Arab Spring uprising to prevent looting,” Ingold says. He goes on to explain that Hanna was trying to prevent Egpytians from looting their own museums, which represented to many the widelydespised government of the day. And it was that which made Ingold realise that “archaeology could be relevant politically, in the modern world.” He continues: “It’s not just cultural tourism, it’s actually live political matter right now and that made me think: ‘Actually, this is something I can write a story about’.” This also, in part, explains the studio’s motivation behind its choice of protagonist: “Having drawn from that, the idea of casting our archaeologist as anyone apart from a woman of colour seemed just absurd really. than say Egyptian glyphs. “There are other influential languages, such as German, because a lot of its words are built out of smaller words. But we go way further than German, as all of the words are made out of little bits,” Humfrey reveals. The dictionary for Ancient is now up to a sizeable 3,000 words. “Linguists say that once you have a thousand words it’s a useful language. Once you learn a thousand words of say German then you can get by,” Humfrey tells us. Ingold adds: “And just recently it clicked for me, so that when people ask me to translate things into Ancient I can basically type them in and we have it.” But like the fluid dialogue system, the translation process isn’t hard-gated, so players aren’t forced to come up with the right answers to proceed, Ingold explains: “It took us about a year and a half to build a mechanic which gently levels up, so it’s more like the puzzles in The Witness than anything else: you get an idea, you expand your idea, you make a translation and what you choose feeds into the narrative. She’ll say ‘this is a temple’ or ‘this is a mausoleum’, based on the translation you guessed. What we don’t tell you is if you’re right. “So your assumptions, your guesswork, is usually pretty good,” he continues. “People tend not to go completely wrong but if you do get a wrong idea somewhere it can feed into the narrative, feed into your later translations and maybe you might clarify it later when you find another inscription and think: ‘This is definitely not a graveyard’.” Humfrey enthuses: “It’s a lovely process. And it really is similar to when you’re trying to work out what a word means in another language. If you see that it has commonality, you might say: ‘Oh it’s a bit like this Latin word’ or ‘it must have something to do with this’. And you have the exact same feeling playing Heaven’s Vault.” And in just a few short days, on April 16th, players will be able to experience that for themselves. veteran, about how Oculus has matured as a platform and the opportunities it brings to developers and publishers. How did you hit upon that $399 price point for both headsets? $399 is a price point that gamers accept – that’s often what consoles come out at, whereas the $699 price point we came out with, when we didn’t know how to optimise for price point, was not acceptable. 3DO figured that out! Consumers are used to paying a certain amount for hardware and then they expect a certain amount of software value to offset the price they paid to get the opportunity to play in that ecosystem. $399 is that point at which they say: ‘Oh, yeah, okay!’ It’s like an Xbox or PlayStation. I think over time we will constantly be trying to bring prices down. But right now this is the right price point for the two headsets. Stormland is built on Insomniac’s proprietary engine that is used for Spider-Man. It’s a very different task to take that and bring it to Quest, as it would be with Asgard’s Wrath. Both of them are graphic tours de force but Asgard’s Wrath is in Unreal and so has a path to port to a mobile chipset. So for them it’s just a question of: what do we lose? Or what do we need to change? But it can happen. If you look at Crytek and The Climb, Cryengine is not something that’s known for being low chipset intensive. It is cutting-edge, state of the art, pushing the limits. The Climb is coming – will it look exactly like it does? No, of course it won’t, but it’s coming to Quest. So if I’ve got a Rift title, what do I need to do to update the title for Rift S? There is no update for Rift S, it just works. It’s extremely low amounts of work. If any at all that needs to be done between Rift and Rift S. If there is something, it would be that there are differences in where you can and can’t see your hands for inside-out tracking. For example this is a very tough pose, right? [he puts both hands behind his back] Rift ecosystem to Quest ecosystem is often a much larger move, although if you’re using Unity and you went for a cartoony art style sometimes that isn’t that hard a transition either. people would summon that many undead,” Oster confirms. “I think if I were to go back and rewrite it today I would specifically build an enemy just to take down the army of the dead defense – have a cleric that would just turn them all and suddenly they’re on their side,” he sniggers. Another innovation Baldur’s Gate popularised at the time was pausable real-time combat, replacing the more traditional turn-based approach. And if this seems like a given for isometric RPGs now, it certainly wasn’t back in 1998. “I think at the time we were really heavily influenced by Warcraft, we were playing a lot of it and it felt really good,” Oster starts explaining. “But when you threw a party in with the second edition D&D rules it turned into a hairball so fast, things were happening so quickly you couldn’t really control it. And we got talking about it and the feeling was that by going strictly turn-based it would just slow the gameplay down too much. So we kind of thought about it almost more like an [American] football game where it’s going and then you stop and you make a call, you make a play, and then the game continues on. As long as the game’s flowing well, don’t interrupt it. So that’s really kind of where the pause-in-play came out, it was us trying to keep the game flowing but at the same time trying to allow that additional element of tactics, thinking through your strategy and executing your strategy.” HOW HARD COULD IT BE? What makes BioWare’s success even more impressive with Baldur’s Gate, even 21 years after its release, is the fact that the team was inexperienced, with most of them having never shipped a game before. Oster worked on the studio’s debut title, Shattered Steel, before joining Baldur’s Gate’s development, making him one of the most experienced team members at the time. “So there were a few of us, two or three, who moved on to help on Baldur’s Gate, who had actually shipped a game,” he recalls with a smile. “But at the same time it was our first game and we had just shipped it and it was radically different technology so we were all just a bunch of farm kids going; ‘Eh, how hard could it be to make a video game?’ and very quickly we were like: ‘Oh my god, it’s so hard!’,” he bursts out laughing. Every month, we discuss the unique process of making music for video games. This month, Marie Dealessandri dives into the musical universe of composer Olivier Derivière, who’s behind the soundtrack of BAFTA-nominated 11-11 Memories Retold, plus The Council, Vampyr, Get Even, Remember Me and more How did you get involved with 11-11 Memories Retold and when in the development process did you get on board? I heard about the project when I was in Sweden giving a talk at Nordic Game Conference. I met with Yoan Fanise, who is the creative director, and he talked to me about the project – he was already working with Aardman but they were trying to find a publisher and the people that I was working with from Bandai Namco on Get Even got involved at the same moment. So it was like a reunion of the Get Even team to work on Memories Retold – very weird circumstances, where all the stars align! So this is how it started. I was involved at the early stages where nothing was yet done. So how does that compare to your previous projects? Do you usually start working on the music later in the project or is it the same kind of approach? It depends. Of course you want to be involved at the very beginning of the project to understand what the core of the game is but also to make sure the team understands that music is more than just music. For Memories Retold, it was quite unique because I was writing the music as they were writing the script, as they were doing the visuals, because time was very short. What type of material do you usually request from the studio before you start writing the score? Mainly talks… It is very difficult for people who do games to envision their own game because video games are very difficult to make. So of course you can request guidelines, artworks, references, you can understand what’s the very core of the intention, but it’s a long process for the people who are making the game itself. It’s very long and it’s based on failure. So this is why you want to be very close to them so you understand all of the steps. For most of the games that I’ve been doing the sooner the better, and the deeper the involvement the better the results. Do you feel like you had an impact on the game’s development? Yes, I think it’s a team work. It’s a sort of a mutual involvement, from me to express my concerns, if there are any, and from them as well. I want them to express their concerns for the music. You know we had moments where it was like: ‘Should we do this for the music? Should we do that?’ It’s a conversation. Using a choir in Memories Retold gave the game a different dimension. Why did you make that decision? 11-11 is about kids going to war and becoming men. And the idea was that it would be good to capture this with the music. We couldn’t get a children’s choir because it’s very complicated to hire but what we did is that we hired specific voices, female voices, that are very close to young boys and girls, to sing. And the idea was that you would have those textures, those children-like colours, to capture what is in the actual game. It was kids going to war – they were like 16 years old, that’s crazy if you think about it. You mainly have experiences in games music when some other composers may have done a bit more films or documentaries – why were you attracted to video games music in the first place? Because I’m a gamer. And I think what video games are offering to players is much wider in terms of universe, worlds, stories, characters... Much more interesting to me than anything else, except maybe literature, nowadays. Because it feels like there is a lot of freedom into what we’re doing in games. So it’s very interesting to explore and push the boundaries as much as possible. The end point is the player experience. It’s not about the music itself. It’s not about the visuals. It’s about how we convey refreshing new experiences for players. It’s a very unique time for video games and I hope it will last as long as possible as freedom is a word that is almost only possible in games. Do you have any tips for developers and how they can best help composers to make music for their game? Number one: music is people. And you need to talk to these people, you need to make them part of your own team. You don’t want them to be external from to development team because then it feels like they will never understand the substance of what you’re doing. So I think the developers need to go towards the composers but they need to have composers that speak their own language too. They need composers who understand how a game is made but also what is a game. One example is Tetris Effect. People are like: ‘Oh it’s a music game’, like Guitar Hero. But what’s funny is that the core gameplay is a very basic Tetris game. And that’s exactly what I’m talking about: when you see a gameplay mechanic, what you can do with music can transform the experience into something completely different and that’s something that is very underrated, misunderstood, by a lot of people. When you understand that, you can extend [the devs’] vision, you can enhance the experience. DESIGNING a game is like designing a bridge. A great design combines beautiful form with robust function. Anyone who has seen a bridge can draw a picture and call it a design. It may even look good, but if you gave it to a construction worker and told them to build it, they would laugh at your childish efforts. Triple-A game design isn’t something anyone can have a go at and succeed. If it wasn’t infuriatingly difficult, bad games wouldn’t exist. A game design must have both substance and style. Without style no-one will play it, but without substance there is no game. Making a game with charm and style is an art, but making it function perfectly is a science, and great designers combine artistic and scientific skills in equal measure. This allows them to get their designs right first time more often, so the whole team needs fewer iterations. Our universities produce thousands of graduate designers every year, a high proportion with first class degrees, but very rarely do they have both aesthetic and engineering skill sets, and even more rarely do they enter the course with the inquisitive passion for dissecting designs that will help them become great designers. So we generally recruit from any degree subject, looking for talent and an obsessive interest in games rather than specific skills. We build up our designers’ skills, so they get their designs right first time more often and don’t waste team time on unnecessary iteration. Everyone has an opinion on design as we all know what we personally like or dislike about a game. In addition, we have the expertise of our marketing and community teams in predicting player reactions to issues and highlighting trends. Generally, feedback should be treated as equal regardless of where it comes from – it’s whether it’s true that matters, not who said it. That’s an ethos which we hold at Creative Assembly; everyone’s opinion is valued and heard. But deciding how to act on that feedback using metrics and a deep understanding of what is happening under the hood, including cost and sequence of change, should be left to those with the strongest design skills in that area. That may be a programmer or artist, but most often it will be a designer-led collaboration across the disciplines. Without the full skillset and a deep understanding of the context, you’ll end up treating the symptoms rather than the cause, and the problem is just masked or moved. GAME updates are a weekly affair at Jagex. For the last 18 years, we’ve updated RuneScape and, for the past six years, Old School RuneScape, on a weekly basis. Last year, this meant adjusting our processes to include updating our iOS and Android clients for Old School RuneScape and RuneScape, currently in closed beta, so we could keep the updates rolling across both desktop and mobile. With that amount of experience behind us, the game update process is a comfortable part of continually expanding each game. But no matter how used we are to updating, we remain alert to the risks of an update not going to plan, or an issue cropping up in the live game which needs to be fixed quickly. We’ve found that there are two key measures of the quality of a launch pipeline: how safely you can launch an update, and how quickly (and safely) you can fix an issue if it arises. As with many processes, humans are often the weak point in the system. Even with a script to follow, we’re liable to make mistakes – therefore, the launch process should be automated as much as it sensibly can be. A fully automated process may be a step too far; there may be situations where a technical issue means an update needs to be aborted, and relying on a fully automated process to handle every possible failure case and stop when needed is probably unwise. Having a few breaks in the process where a human can check that the universe is as it should be is a great safety net. You probably don’t want your players downloading the new version of the client until you’re sure the new servers are up and running. But one vital question to be asking yourself before pushing the first Big Red Button is: what will I do if this doesn’t work? If the deployment of the new version of your game is only partly successful, or the servers won’t start, are you able to redeploy the previous, working version of the game and get your players back in, or are they going to have to sit and stare at the login screen while you work out what’s gone wrong? Even trickier is the question of what you’ll do if the update works but players find a game-breaking issue. This is where the speed at which you can do an update becomes important. When you’re just releasing the latest content a quick process is handy, but not strictly required. When you’re trying to patch a live issue, however, being able to deploy a solution quickly is far more important, particularly with player sentiment at stake. With RuneScape, backing out an update that’s gone live and reusing the previous version is rarely possible. Suddenly players would be carrying items that didn’t exist or be in some other broken state. What we can do is use our hotfix system that allows us to update content scripts without having to do a full deploy or shut down the game. This allows us to either fix an issue or, if need be, simply disable the offending bit of content while we produce and test a definitive fix. “One vital question to be asking yourself is: what will I do if this doesn’t work? Even trickier is the question of what you’ll do if the update works but players find a game-breaking issue.” snapshots of players’ savegames, and so we’re able to retrieve saves from almost exactly the point that the servers shut down for the update, so that the only progress lost for the overwhelming majority is what they did after the faulty update went live. The most important piece of advice if something goes wrong is don’t panic. Better that the game remains offline or buggy for a little longer than you jump to a solution and make things worse. But our ability to avoid panicking in a situation is often affected by how much we trust the systems that allow us to dig ourselves out of our current hole. Time and effort invested in an update process and, crucially, an update recovery process, will pay dividends at some point. But hopefully, not for today’s update. You founded State of Play over ten years ago now, how does it compare today to how you first envisaged it? I’m not sure we ever had a grand plan for State of Play. As with most of the things we do it all happened quite organically. The market has changed a huge amount since we started. We were making solely web games as well as animations. Now we are completely independent making games for predominantly the mobile market. Looking back at the breadth of our work from then to now, the thread that runs through them is the handmade element that has become our signature throughout our games. With the greatest respect to your current role, what is or was your dream job? Apart from playing lots of video games when I was a kid, I didn’t even know there was a games industry to work in, let alone be part of! My first passion really was film, I was the kid at school that had all the film posters on her bedroom wall, and I’m still hugely passionate about it. Working in film or TV production would have been a dream job for me. However, I think the freedom I have as an independent game developer is huge. I never feel like a small cog in a large machine, I’m able to have an input in every area of that production and I’m able to tell a story that engages an audience in a very personal way. I feel that games can tell narratives in new ways, building on and combining the kind of things films, novels, graphic design and animation do, and that’s what we are constantly trying to evoke at State of Play. You once said you were “disillusioned by the output” of the industry – have things improved since then, do you find games to play that you’re passionate about? There are loads of great games I feel passionate about. I guess for me if I’m playing an immersive game, I always want to feel an emotional connection to a game, and I want to care about my character. It’s the same if I’m watching a TV drama or film. I find sloppy clichés in games frustrating and I think the players deserve better. What was the greatest single moment of your career to date? Winning a BAFTA in 2015 for Artistic Achievement for Lumino City, and in the same year we were nominated for British Game and Innovation. We were the classic underdogs in the category we won, in terms of size of team and budget. Our parents watched at home in tears. I think you can still see the clip online of my complete shock when they called out our name, it just meant all the hard work was worth it. It was a very special time for us. Do you feel the games industry is headed in the right direction? Naturally I’m an optimist so you have got to think that, yes, it’s going in the right direction. As an industry we have to adapt and I do think the current market is tougher now for independent studios starting out, but there are always troughs and peaks and it’s about finding ways of riding them out. The one thing I think the industry is currently doing well is recognising games as an art form. The recent V&A exhibition Design/Play/Disrupt is an example of this, and I’m looking forward to seeing more. Who continues to impress you in the industry? Jo Twist OBE, CEO of Ukie. When we were starting out she was a mentor and supporter of myself and State of Play. In my current position on the board of directors of Ukie I have an insight in how hard she works and her passion and love for the industry is infectious. She is a truly impressive person and a true asset to the industry.